Apple announced tvOS 12 at WWDC, coming this fall to Apple TV 4K, with a smaller feature set for the fourth-generation Apple TV. Everyone will get a few nice-to-have new features, but some of you may get the killer upgrade you’ve been waiting for. 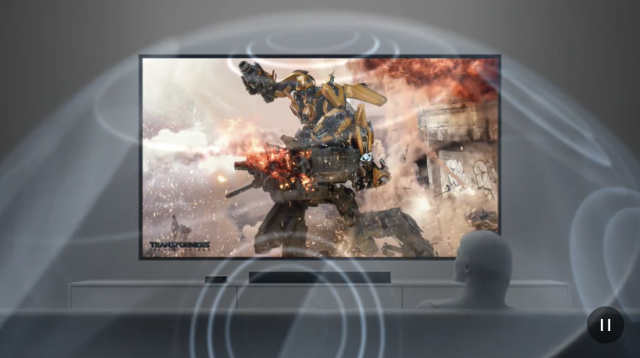 The Apple TV 4K will gain Dolby Atmos soundscapes, which you may have experienced already in a movie theater with one of its recognizable seat-shaking trailers. Atmos places the sound into a seeming 3D environment around you, so you hear the audio coming from different directions and at varying depth and volume. You won’t need to place speakers around the room to get this effect; an Atmos-capable TV soundbar is enough to provide it. But the better your speakers, the better it sounds. Both Dolby and Apple confirm that the Apple TV 4K is the only device that is compatible with both Dolby Atmos and Dolby Vision, the better to blind you with science. Oddly, while the SlackBITS live event discussion was rife with speculation that this would cause a rush to buy HomePods in four-packs, no specific mention was made of whether the HomePod will receive Atmos support. Dolby Atmos requires Atmos-compatible movies, and just like last year when Apple upgraded movies purchased from the iTunes Store to 4K for free, the same thing will happen to your past purchases when tvOS 12 and Atmos movies are available. Apple claims that it will have the largest library of Atmos movies anywhere, which it still says is true about its 4K selection. Early Apple TV adopters remember the painful process of signing in to different apps with the remote and on-screen keyboard. Apple improved this process with Single Sign-On, which consolidated some apps into a single TV provider login. Now tvOS 12 goes from one to zero with Zero Sign-On: your Apple TV will determine your Internet provider, and if it’s part of a bundle with your TV service, it will auto-detect your available channels and connect you to all of them. On launch day, this will only be available to Charter Spectrum subscribers, but Apple promises to sign up more. You will still need to sign into independent video services like Amazon Prime, though. Charter is getting on the Apple train in a big way; it will also sell you an iPad or iPhone if you need another one, or you can buy an Apple TV to use in lieu of a cable box entirely. 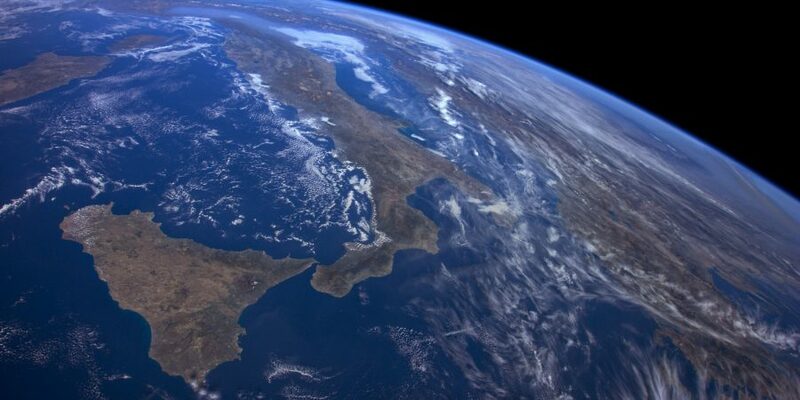 tvOS has long included a number of aerial view screensavers showing various landscapes, but somehow Apple convinced the crew of the International Space Station to make a new one from low Earth orbit (see the screenshot at the top of this article on our Web site), along with a few others. Plus, you’ll be able to tap the touchpad on the Siri Remote to see the location that’s showing in an aerial screensaver. In conjunction with new features in iOS 12, passwords chosen on your iOS devices will autofill on Apple TV. If iOS 12 detects an Apple TV, it will add an Apple TV Remote button to Control Center. Steve Jobs said Apple TV started as a “hobby,” but now it’s experiencing 50% growth per year. That’s still behind Roku, Amazon Fire, and Google Chromecast, but seems sufficient to ensure future development from Apple. Can the HomePod utilise the Atmos specifics? If I have a big screen TV connected to AppleTV I’d like to get rid of my old Marantz Amplifier (and surround sound speakers), and just use two HomePods (either as paired stereo, or perhaps just one) instead of an Atmos-capable sound bar (which would be a new purchase, but I’d prefer to spend $$$ on a HomePod). I would need the sound of the free to air TV signal to be amplified by HomePod devices, but is that even possible? Sorry, I have no idea. My guess is, should the HomePod become compatible for this kind of use, you will hear about it from multiple sources, including here. So we have to replace our year old TV 4 if we want to use tvOS 12? It’ll also be available for the fourth-generation Apple TV, but the marquee features like Atmos will be 4K only. The zero sign in will be a pain for expats like us who continue to watch US TV using VPNs.